This comic makes very little sense to my sweetheart. But if you have a squidy brain like mine it might make sense to you. 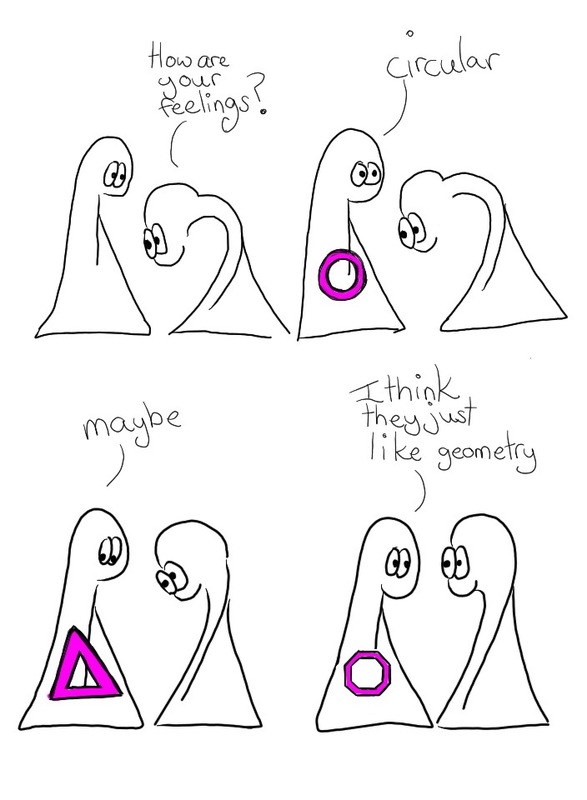 Related comics – or what’s the deal with the geometrical shapes?